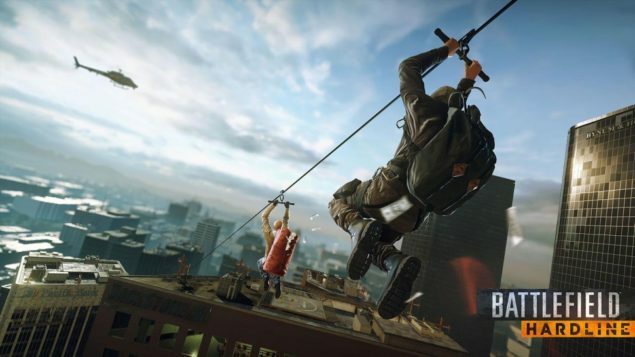 The very first Battlefield Hardline patch is now finding it’s way to players on all platforms. And it brings with it a long list of changes and fixes. Battlefield Hardline Patch 1.02 is released on the PC, PS4 and Xbox One, optimizations, fixes and gameplay changes in tow. The community hath spoketh and DICE hath listened. In addition to a great deal of bug fixes and also improving the performance of the game, the first Battlefield Hardline patch adds some gameplay altering changes that the community has mostly spoken for. Crucially, weapons have been further tuned with improvements and balancing for six different weapons based on community feedback. Battle rifle ammo, for instance, now produces at least 25 hit points of damage, while the minimum damage of the AKM has been reduced to just 24. In addition to that, the battlepacks have been reworked to give players a better chance at getting something actually nice instead of collecting boosts as happened in Battlefield 4, you’ll now receive more useful items in the Bronze battlepack. The full patch notes for the PC are listed below for your reading pleasure. Let us know if you enjoy the changes that have been made, or if you enjoy the game at all.